What most people who haven’t been to India before think of when they picture Indian food is: spicy, oily curries, naan bread, maybe some tandoori chicken, saag paneer and poppadoms, right? 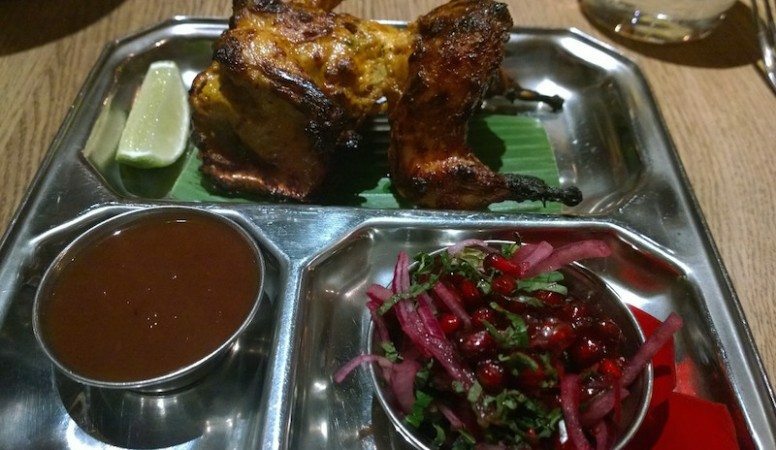 I know that that was pretty much the extent of my Indian cuisine knowledge before I moved to Brighton, where we are lucky enough to have places like The Chilli Pickle who are serving exciting, fresh and traditional Indian food. 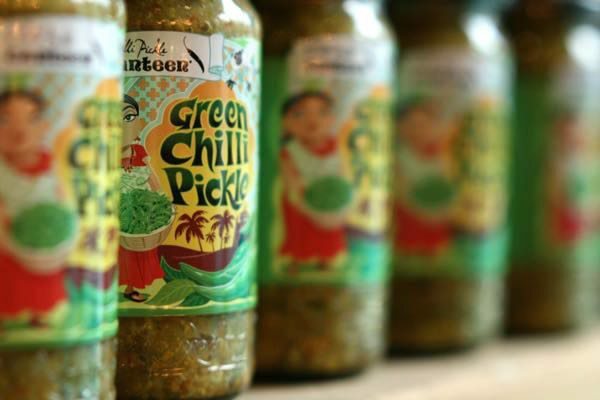 The Chilli Pickle really is something special. 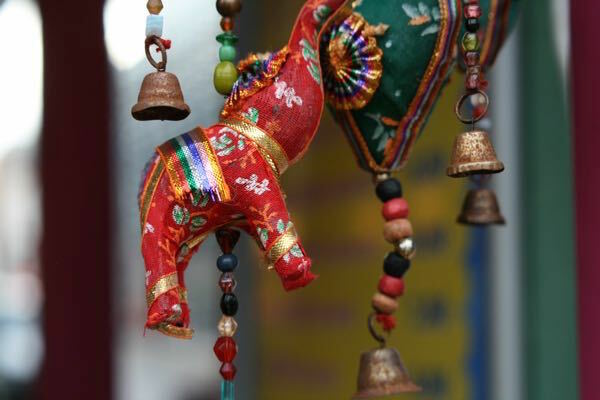 The owners have a growing love for India, and visit the country regularly to source new creations for their menu to bring us in Brighton back a taste of the real Indian cuisine. It’s located right next to My Hotel on Jubilee Street, opposite the library and Pizza Express, and it’s hard to miss with it’s bright pink and yellow colouring and attractive facade. I first tried The Chilli Pickle Canteen when I ordered in their unique Grand Thali and Railway Box to try at home with some friends. The food arrives in large cardboard boxes made to represent the trays that you are served in India on the trains, with lots of different components including chutneys, curry, rice, and sundries. The presentation makes it fun and exciting, much nicer than being served in the greasy plastic containers you would get from your usual Indian takeaway shop. The food was absolutely delicious, and you could tell that it came from somewhere that had extensive knowledge of the cuisine and authenticity. If you are gluten intolerant, it is always good to call a member of staff before ordering to let them know. On this particular evening, it was a Saturday in fact, my partner and I decided to treat ourselves by heading out to the restaurant for a nice evening meal. We were greeted as soon as we were walked in by a friendly and professional member of staff, and seated on a table near to the door. The restaurant was buzzing, and we instantly felt welcome and comfortable which was good. We were given menus and tap water on request which was poured at the table by an icy cold silver jug. We peered over our menus with high anticipation, with our eyes wandering up and around the restaurant often to watch our surroundings. There is an open area down one end of the restaurant where there are a couple of chefs working the tandoor, cooking meat, paneer and naan bread. There is a bar along one side pumping out drinks, and a large floor to ceiling shelving system near the door selling colourful home made chutneys and pickles. I love the booth style seating to the right of the door when you walk in, right next to floor to ceiling windows so you can be seen by the passers by looking in. The drinks menu is extensive, offering a range of beers, wines, cocktails and soft drinks to help wash down your meal. After having a rather big Friday night I requested a Chilli Pickle Bloody Mary, and my partner went simple with a soft drink. As I was here to try out their gluten free offerings, our waitress came over to explain which dishes on the menu were gluten free. Lucky for me, almost everything is gluten free friendly as a lot of traditional Indian food doesn’t contain flour in the ingredients. 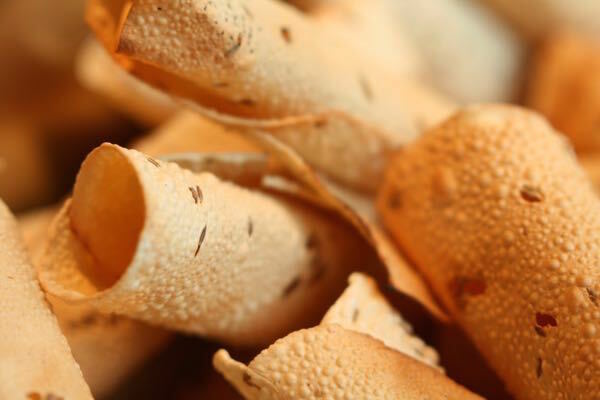 They use a lot of chickpea flour and sometimes rice or daal flour usually. However it is always important to double check with a member of staff when ordering, and they will be more than happy to let you know which dishes do and don’t have gluten in them. We ordered our starters and mains just after our drinks arrived. 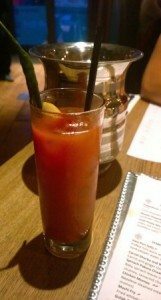 My Bloody Mary was nice and spicy, it was served with a green chilli and a few other flavours in there, and after a couple of minutes it felt like it was doing the trick. I was told they also have a gluten free beer available which I was keen to try, so I asked for one after I finished my Bloody Mary. Considering how many people were in the restaurant, it didn’t feel stressful and we didn’t have to wait very long at all for our food. To start with I had chosen the tandoori quail, and my partner went for the puri puffs which did include a little bit of flour so aren’t entirely gluten free. The food was presented beautiful and is definitely visually appealing when placed in front of you. I had never had tandoori quail before, so after a few quick photos I was eager to tuck in. It was served whole, and slightly charred from the tandoor but smelt incredible and looked really tender too. I started by cutting it with my knife and fork, but soon resorted to my hands as it was delicate to eat! The flavour was lovely, with a spicy coconut paste covering the whole bird, but the coconut balanced out the heat so it wasn’t too spicy. It was served with a tamarind date chutney and pomegranate seeds, which was so good for dipping as they were lovely and sour and sweet. My partners puri puffs looked great, the waitress explained how to eat them by adding a little bit of the mint chutney and other sweet liquid to it before popping the whole thing in your mouth. He said they were flavoursome, fresh and he enjoyed the interactive way of eating them! 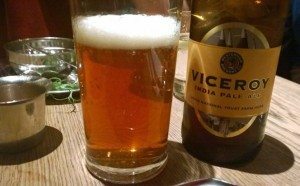 I must make a mention for the beer I was drinking too, it was an Indian pale ale that was really hoppy and slightly fruity. I used to love drinking ale before I stopped eating wheat so it really was a treat for me and I would highly recommend it! After eating a whole quail I was feeling unsurprisingly full, but still really looking forward to my main course. 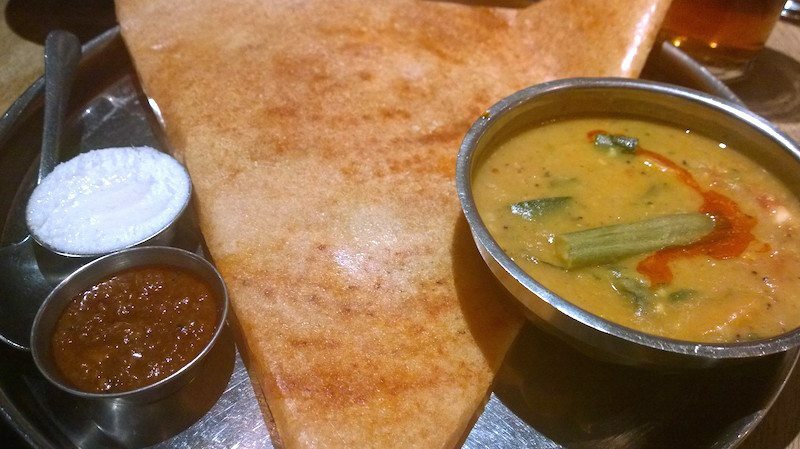 I had ordered the Indian dosa, which is one of my favourite dishes ever, and there are not many places that do it properly. They are traditionally gluten free as they are made with a combination of lentil and rice flour and are filled with potato and spices and other various vegetables or meats. The first dosa I had was in Malaysia at an Indian food stall in Penang, and I have been excited to find them on a menu ever since. It came served on a silver platter and folded in a triangle, and really smelt delicious. My partner, who also has a love for dosa was extremely jealous, but looking at the size of it I promised to share it with him! 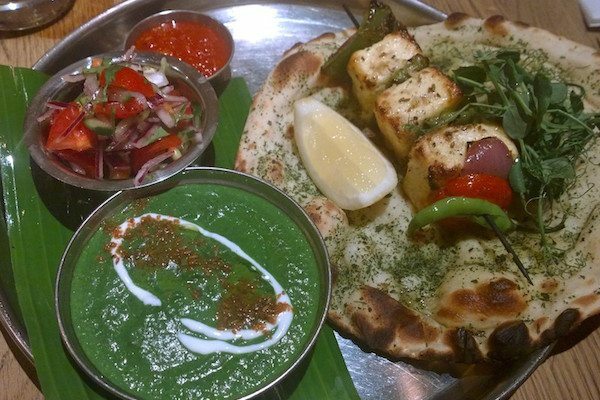 His dish looked divine – it was tandoori cooked paneer with a spinach gravy, cucumber salad and a garlic naan so this wasn’t gluten free. The pieces of paneer were very generous, and all elements of the dish came together nicely and he was very happy with his choice. I loved the spinach gravy that it came with, there were lots of delicious spices and good depth of flavour too. The dosa was fantastic, the pancake was light and airy and beautifully sweet, and there was plenty of filling spread out to the edges. The filling had soft potato and mustard seeds that popped in your mouth, and there was a vegetable curry on the side that included a drumstick – which is a green, okra looking vegetable that you cut down the middle and eat the centre. It was lovely and sweet, and reminded me a little of courgette, or squash and I would like to try more of it soon. There was also a small side of fresh coconut chutney and a date and tamarind chutney for dipping which were both delish. It was all incredibly filling, but so tasty, and I asked to take the rest home so I could have it for breakfast the next day. Now usually we both muster up the courage to at least share a dessert, but on this occasion neither of us were so full we really couldn’t manage. Our waitress said that we would have to come back another time soon, as they currently have a gluten free chocolate kulfi, which is an Indian ice cream, creamier and denser than normal ice cream, served with cherries. It does sound appealing so I am sure to be back! After a lovely evening, with seriously good food, we both wandered out into the night ready for bed. 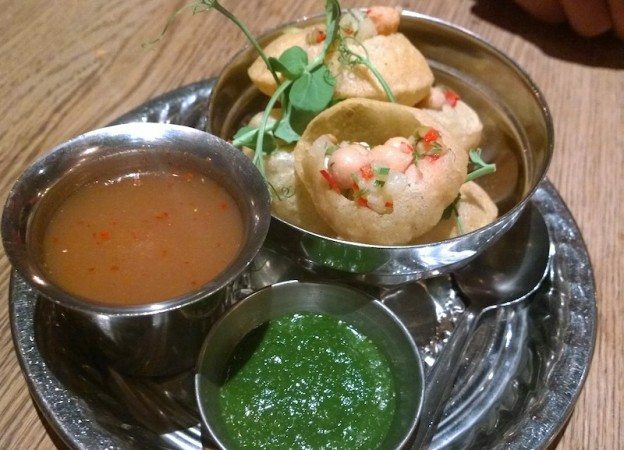 If you’re a gluten free diner or not, I would certainly recommend heading to Chilli Pickle soon to try their range of traditional, Indian dishes, excellent service and vibrant atmosphere. They always have something for everyone, and are happy to adapt to the customers needs. Don’t forget to book in advance as it is a popular place and can get busy! You can also pre order your takeaway online, to avoid the wait on their busy evenings.